Return to the northern red-backed vole description page. A red-backed vole, one of the most common species of voles in Alaska. 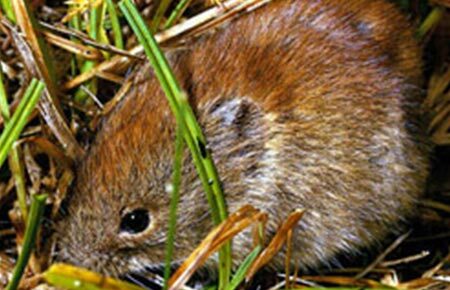 Voles are small rodents, more similar to lemmings than to mice. Red-backed voles typically live in the forest in small groups.